There are some things, quite a few actually, that I just cannot be without in my home. 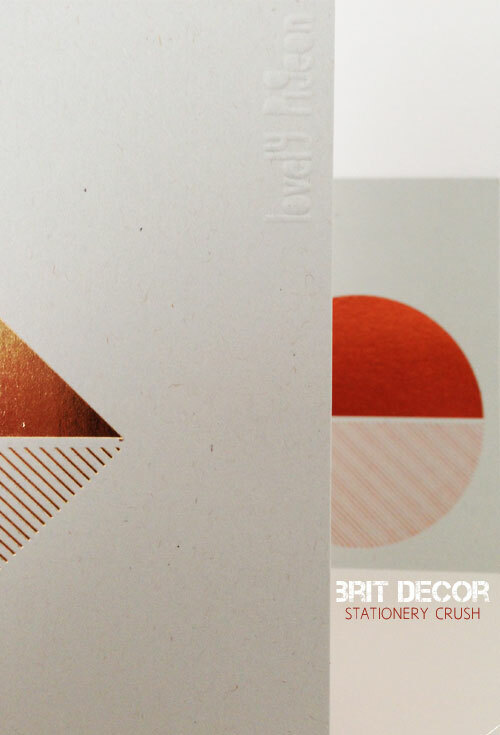 One of my must-have items has also become a little bit of crush; stationery, or to be a little more precise, notebooks. I prefer a handy pocket size version so I can take it around with me and scribble inspirational little notes wherever I am because my brain simply can't remember every little detail. Speaking of inspiration, a print called 'Cellardyke' owned by the lovely Mr Bright Bazaar, recently caught my eye with its minimal styling and eye-catching lines. 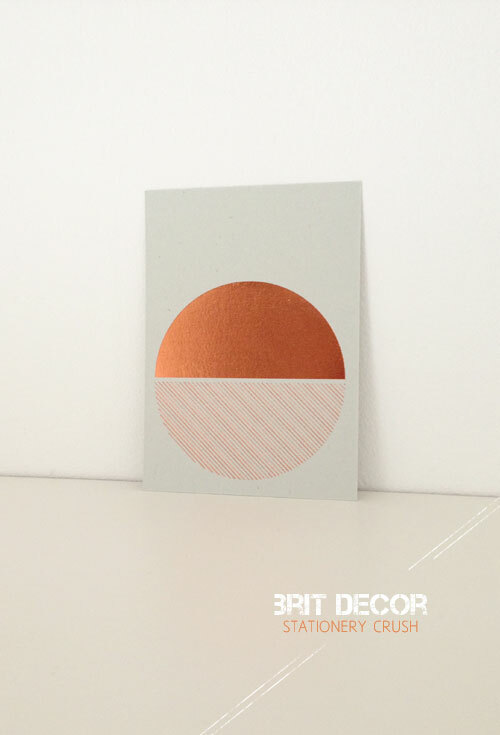 The print in question was by the refreshingly original Lovely Pigeon and when I learned that this small but perfectly formed brand produced stationery too, I hurriedly clicked onto their web store. 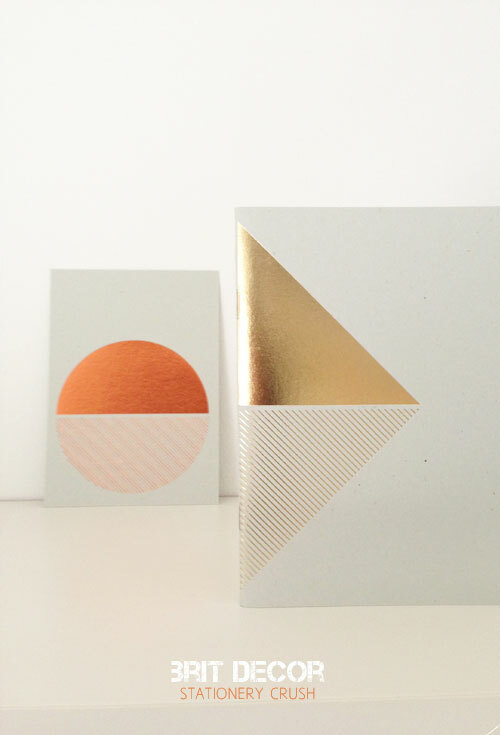 With gorgeous colours to choose from and each notebook temptingly matched with copper and brass foils, the geometric shapes look truly awesome. 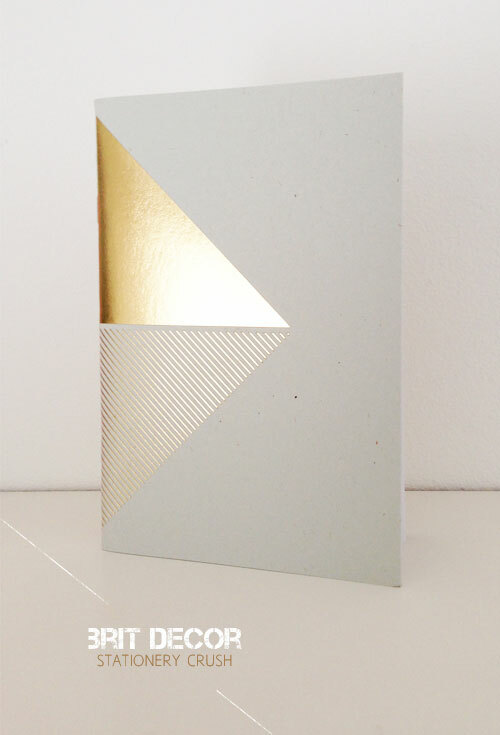 After some deliberation over colours, I opted for the concrete grey notebook with brass foil illustration because I love the luxe look of the foil set against the minimal grey card. However, to my utter delight, the notebook also arrived with a stunning copper foil postcard (also 'above'), which now takes pride of place in my study at home, along with my newest piece of stationery, of course.